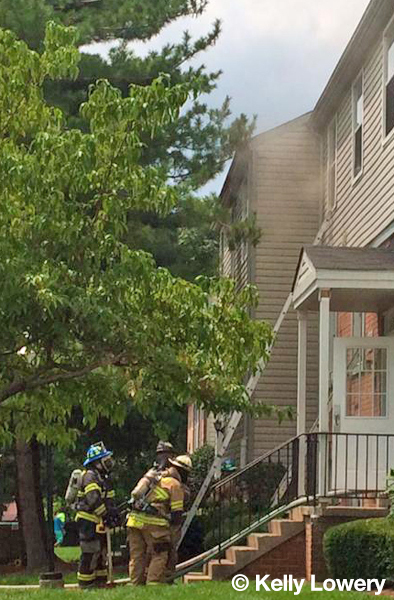 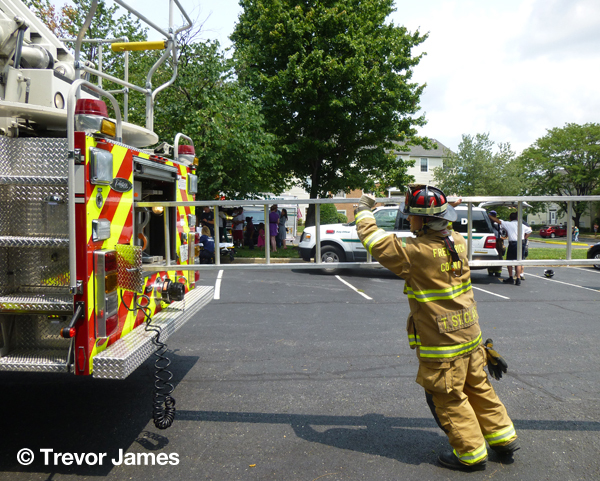 Around 12:21 hours on Tuesday (July 29) Frederick County Fire & Rescue units were toned out for High-Rise Box 1-8 at the Hickory Hill Apartments off of Key Parkway in Frederick City. 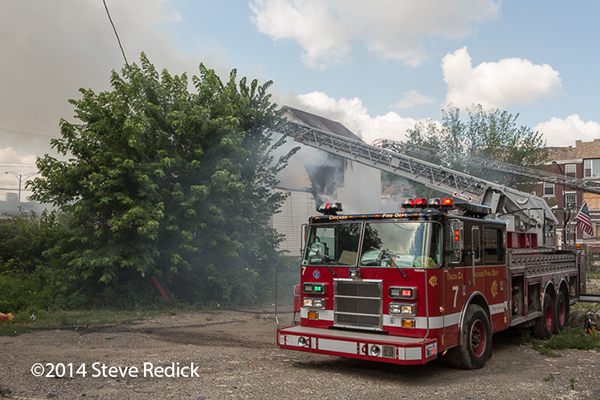 Firefighters from Company 1 (Independent) and Company 4 (Citizen Truck) arrived to find smoke showing from the three-story apartment building. 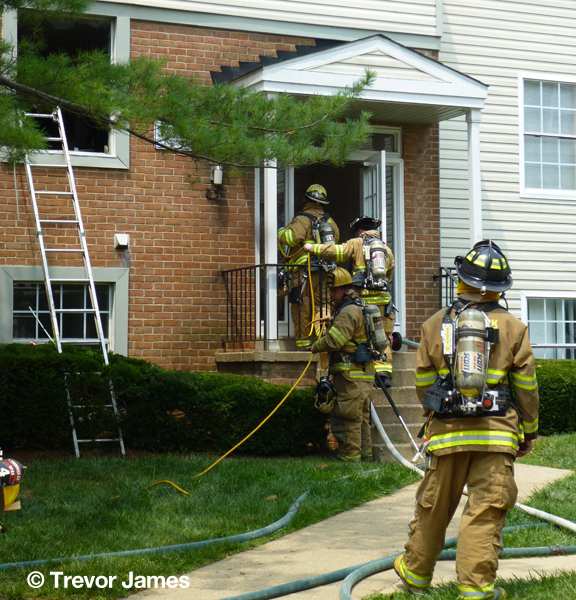 Occupants were trapped on the 3rd level of the unit and firefighters used ground ladders to perform rescues of up to 10 occupants from the building. 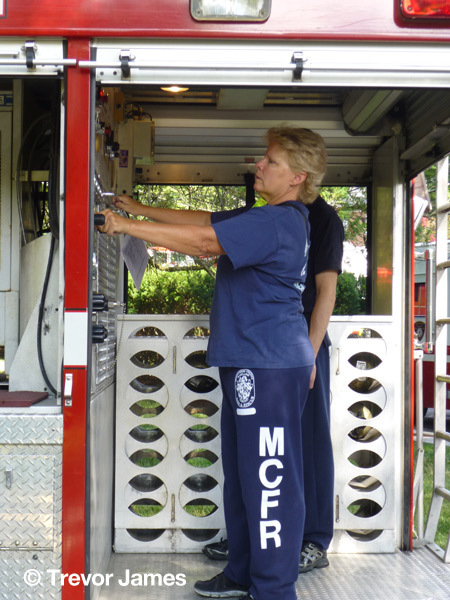 Chief 1 had command and ordered a rapid intervention dispatch bringing Middletown Rescue Engine 74, Ambulance 38 (being staffed by Brunswick Vol Amb. 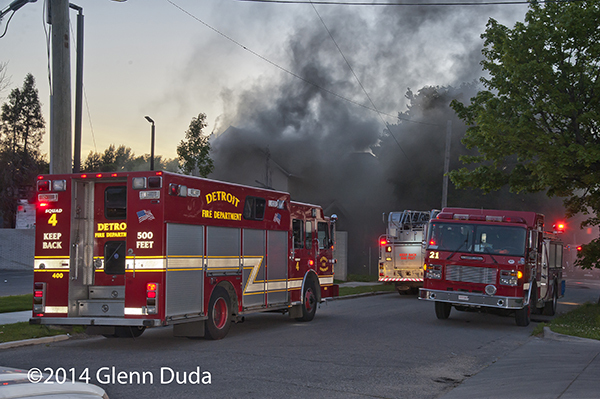 Co. 19), Medic 1, and Jefferson Engine 201 to the scene. 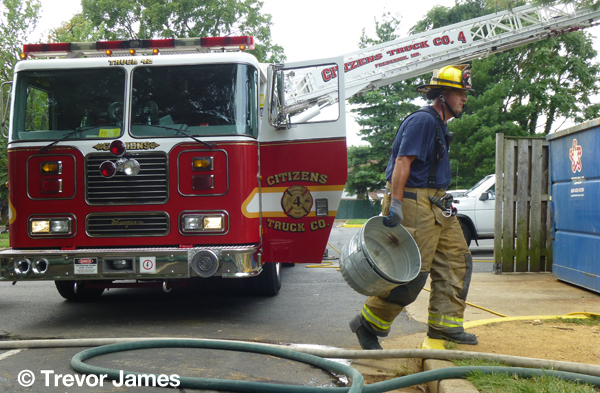 Rescue Squad 2 (Junior Fire Company) and Rescue Squad 6 (Emmitsburg) as well as units from Fort Detrick (Engine 501), Urbana (Tower 23), Jefferson (Engine Tanker 204), Braddock Heights (Engine 122), New Market (Engine 152), and Middletown (Rescue Engine 74) were also dispatched on the initial alarm. 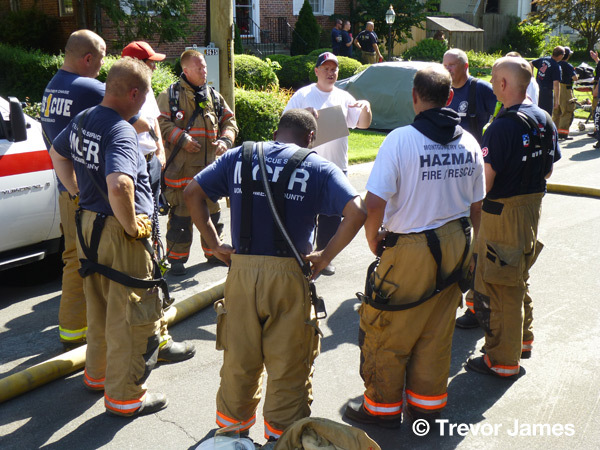 Photos include one of the rescues being performed by firefighters from Co. 1 and Co. 4 courtesy of my friend Lieutenant Kelly Lowery, and a shot of a firefighter performing ventilation courtesy of David Clark. 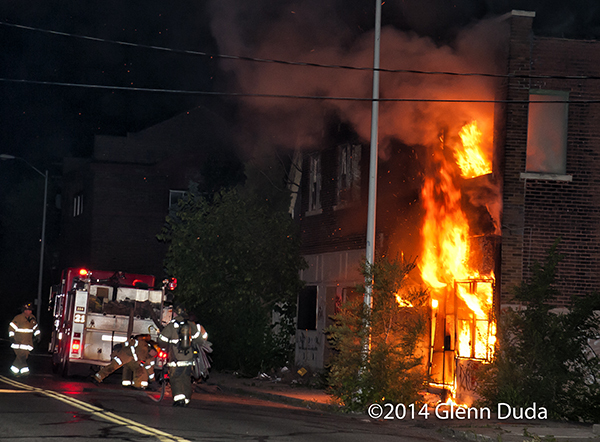 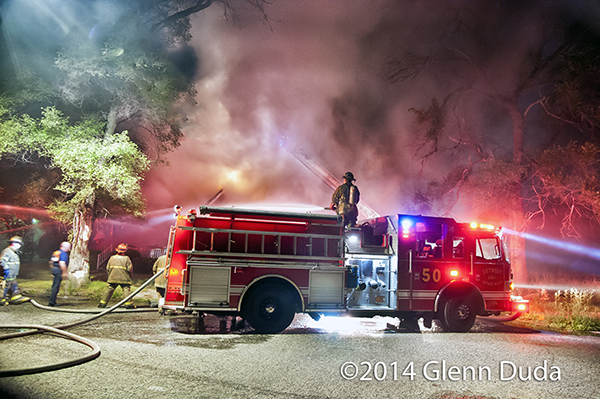 I arrived after the rescues occurred and took overhaul and apparatus shots. 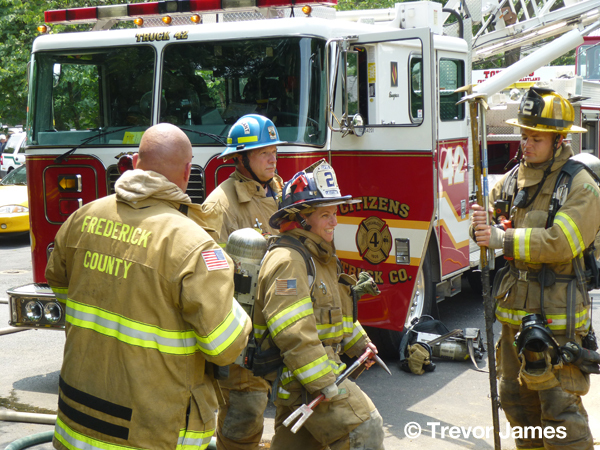 One additional note – Jefferson and Emmitsburg companies were detailing at Company 3 (United) in downtown Frederick today while Co. 3 members took part in the funeral for long-time member and firefighter Mark Fisher. 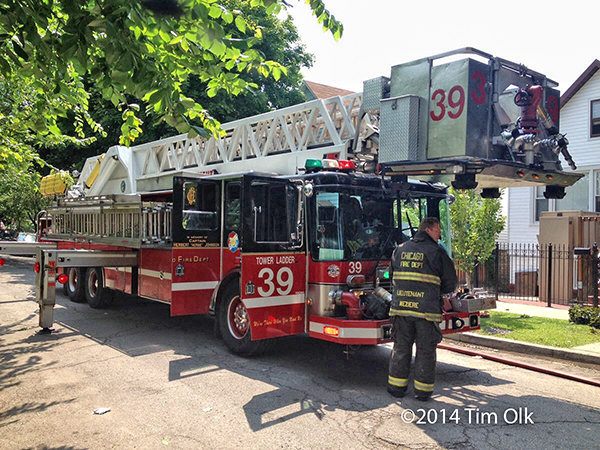 New Market was filling in at Company 31 as their members were also taking part in the funeral detail. 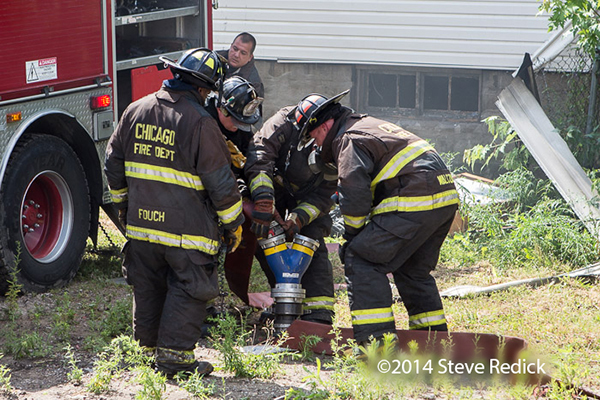 Thanks to Lieut. 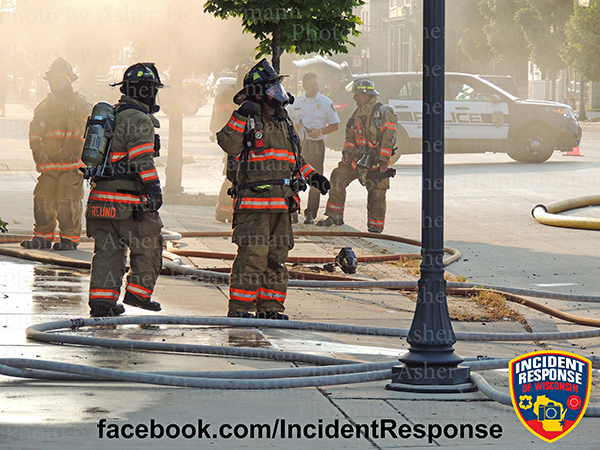 Lowery for the full rundown of the units and dispatch assignments. 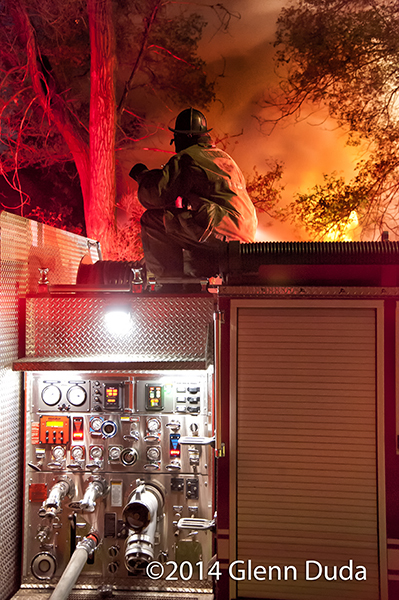 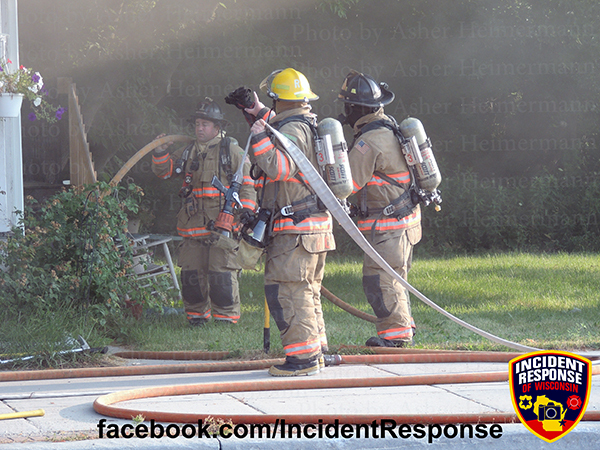 Sheboygan, Wisconsin firefighters responded to a house fire on the morning of Monday, July 28th around 7 AM. 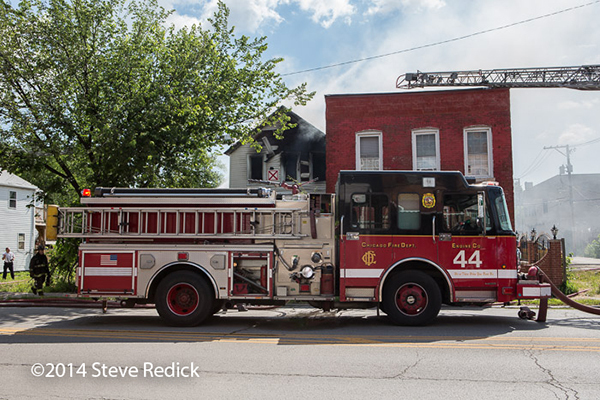 Firefighters arrived on-scene at 1108 Indiana Avenue to discover smoke. 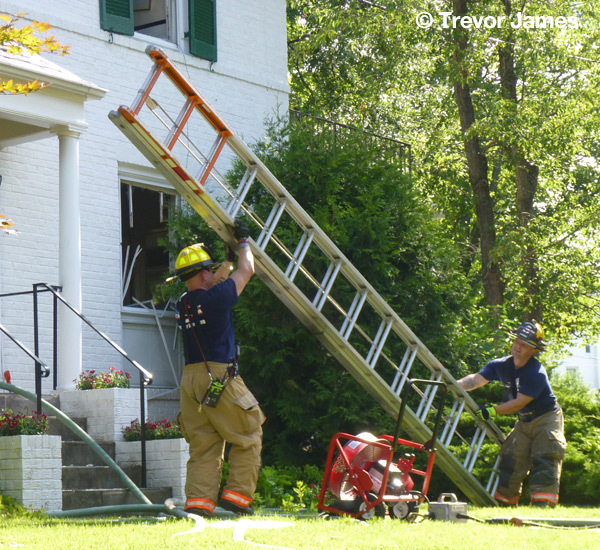 They were informed of two cats that may have been trapped on the second floor. 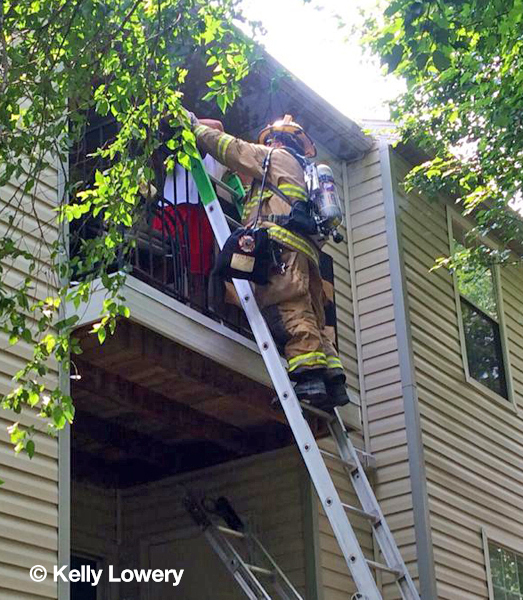 Firefighters rescued two cats while two other pets died. 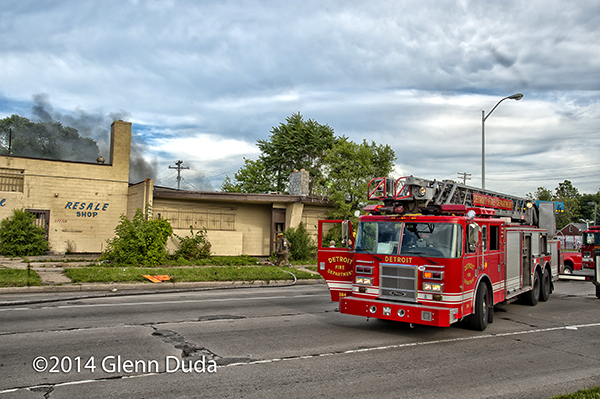 No persons were reported injured at the scene. 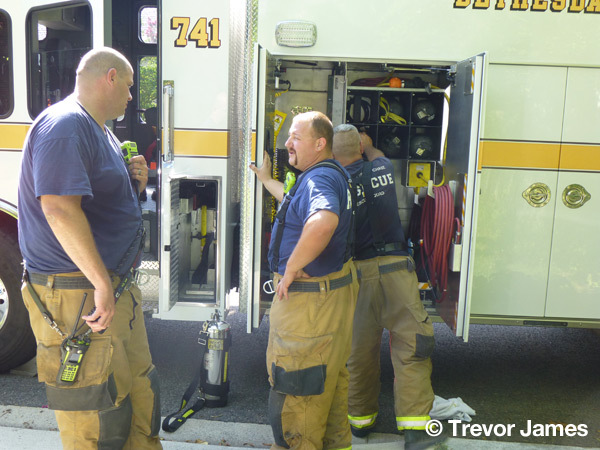 Montgomery County Fire & Rescue units from the 2nd battalion were toned out on Monday morning for the house fire in Chevy Chase on Cummings Lane. 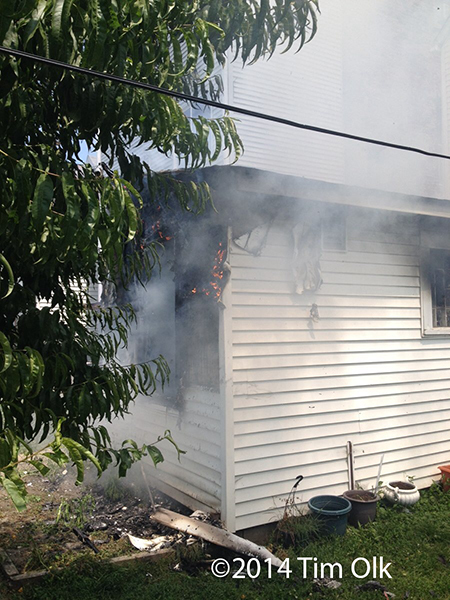 Multiple callers to 911 dispatch reported smoke. 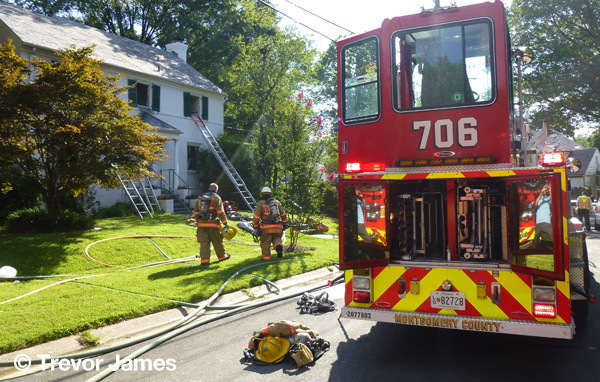 First-due units including Rescue 1 (Bethesda Chevy Chase Rescue Squad), Truck 706, and Engine 707 arrived to find smoke showing from multiple sides of the structure. 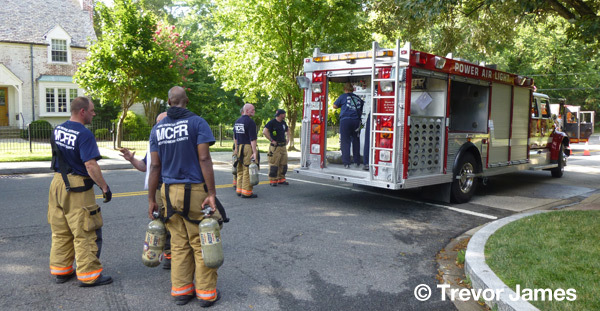 As firefighters began their interior attack, a RIT alarm was toned bringing PGFD (Prince Georges County Fire Department) Rescue Squad 801 to the scene to fulfill RIT duties. 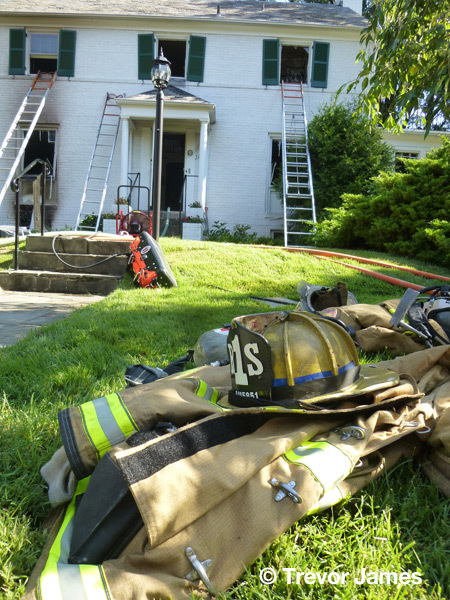 An aggressive interior attack was made on the 1st and 2nd levels and into the basement of the house, and multiple searches were performed by the squad company, all reporting as negative. 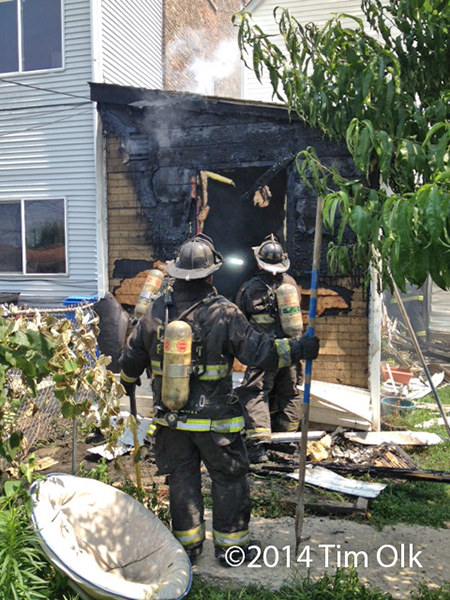 Fire was knocked quickly and units remained in the structure to clear smoke and check for extension. 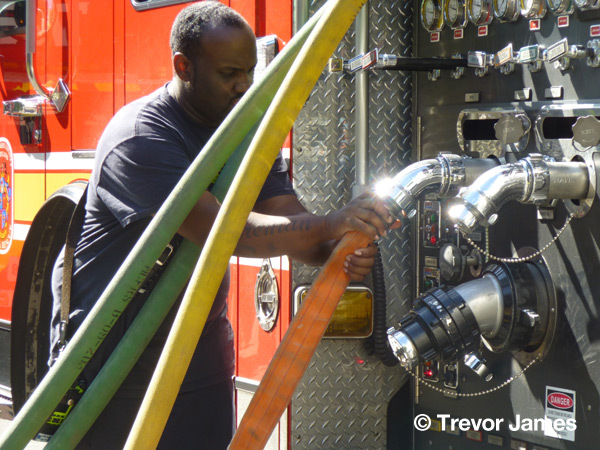 RIT was de-escalated placing RS801 back into service. 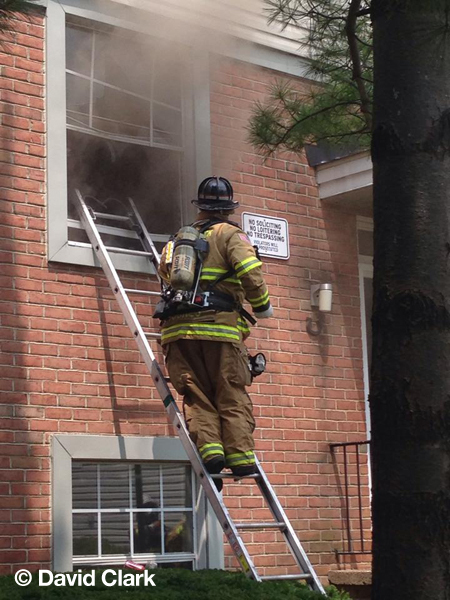 Units including Engine 754 from Fort Detrick briefly took over RIT duties and then helped with overhaul. 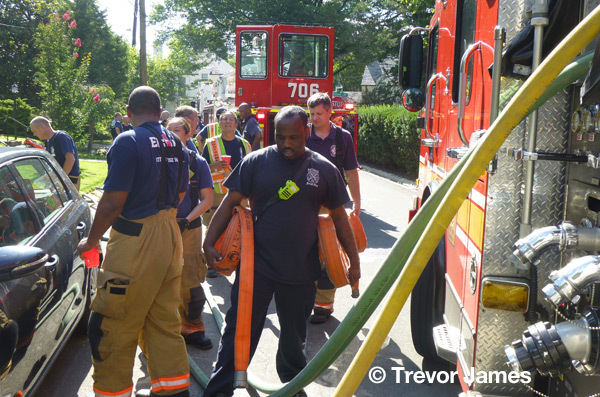 Rehab was performed by the Bethesda Chevy Chase Rescue Squad EMTs and Paramedics. 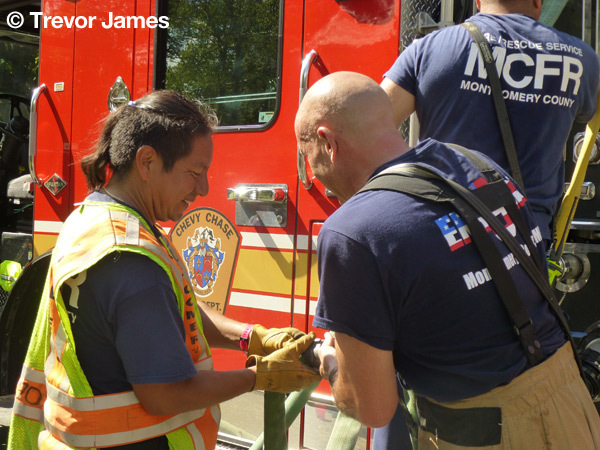 The air unit re-supplied bottles, and the Kensington Canteen unit provided cold refreshments to assist with rehab. 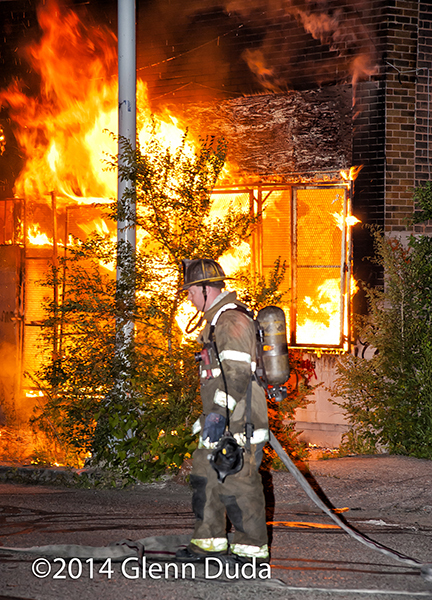 Battalion 702 had command. 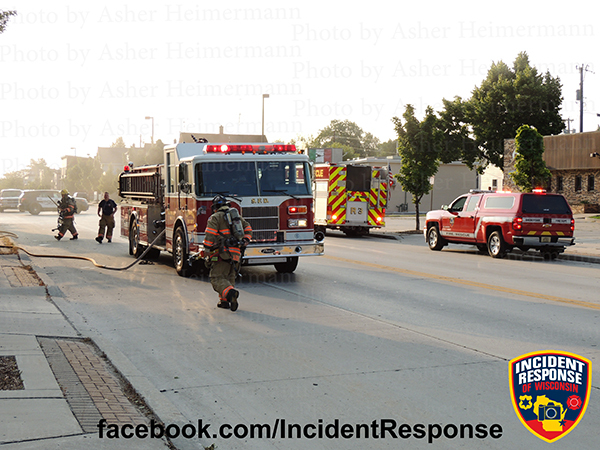 Units remained on the scene for approx. 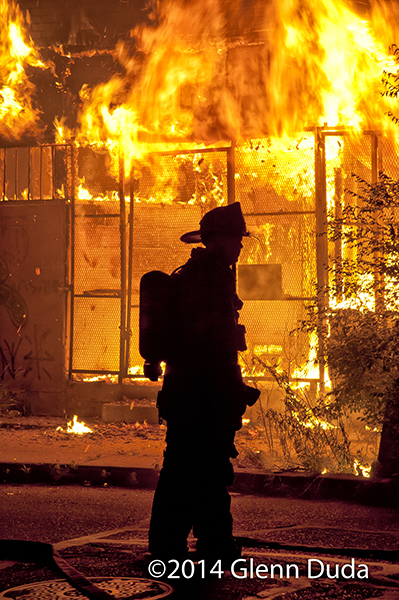 3 hours. 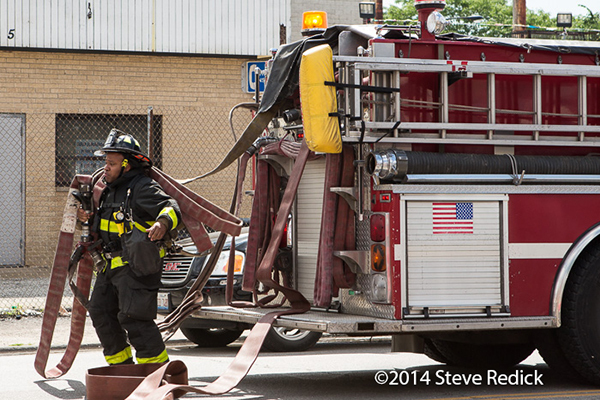 Here are some overhaul shots. 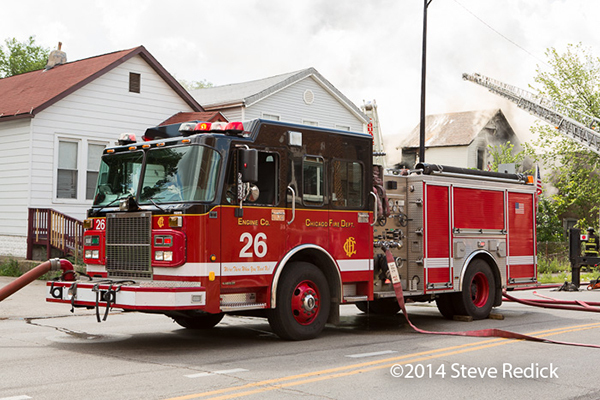 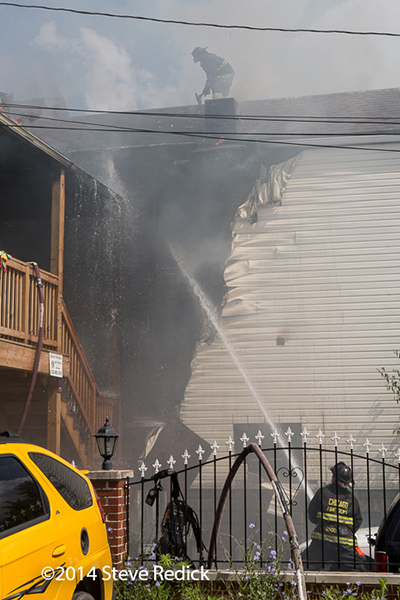 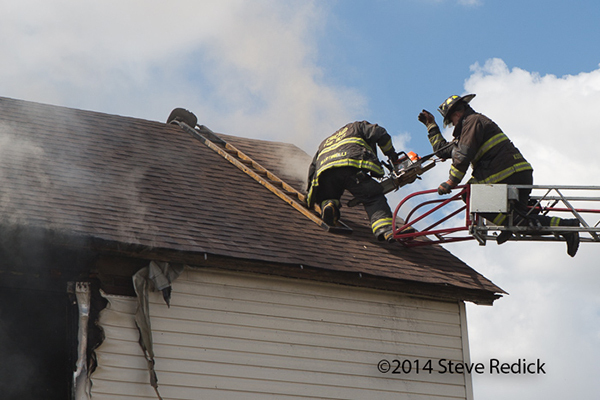 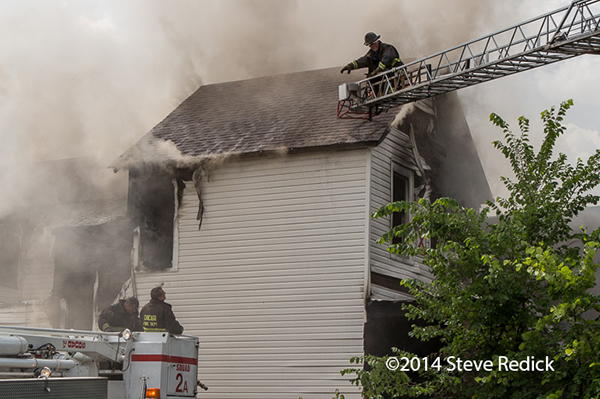 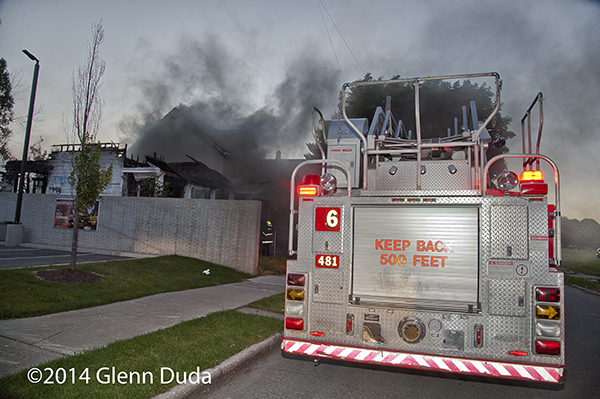 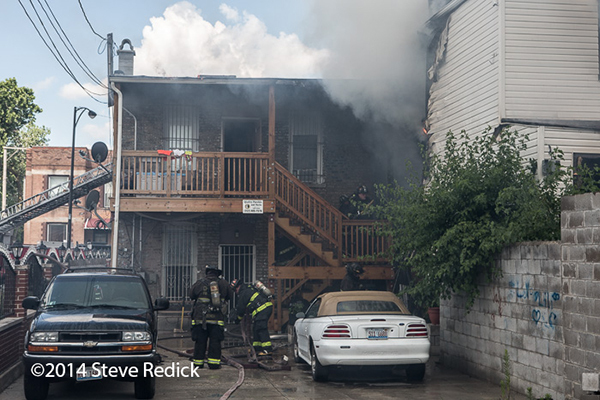 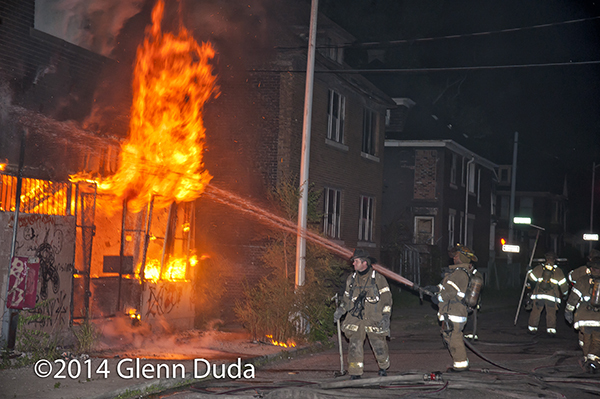 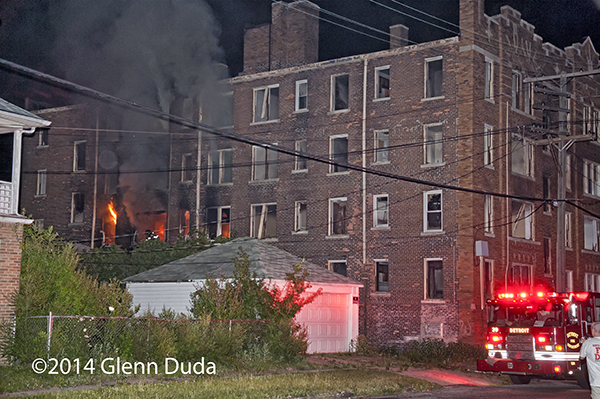 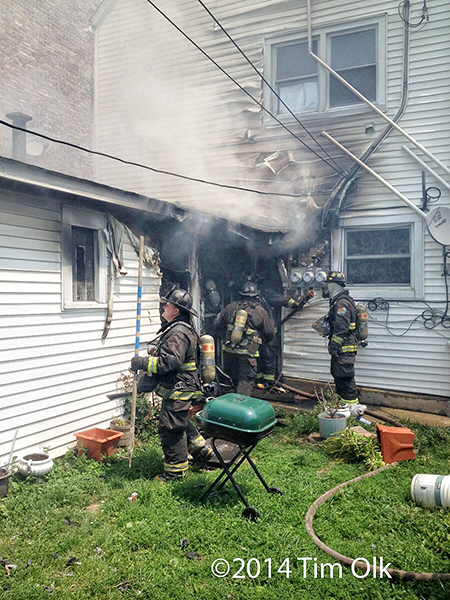 House fire at 4728 S. Seeley in Chicago today (July 28, 2014).